Home flash grodd joe west killer frost music meister savitar star labs supergirl vibe Future Flash Episodes Confirmed! Confirmed? LOL! Of course they're confirmed! We even have Season 4 to look forward to! Woot! Any who, what I really mean is synopsis for future episodes are confirmed. #1. Music Meister gets 6 figure book deal. Currently it sounds like Music Meister is on the up and up, and doing well for himself. 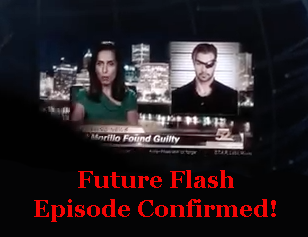 His name in the newscast headline becomes his demise as Team Flash will seek him out and stumble upon his true intentions. This also tells us, Supergirl will be coming over to Flash, rather than Flash go to Supergirl, or will it be a two episode crossover? I think this will be one of my favorite episodes because the heck doesn't like a musical?! Both a joyous and worrisome event on behalf of Team Flash. Since we don't know why he's being honored, we'll all be curious. Honestly, I think this will be when Joe finds out about the Future events and there will be a lot of family emotions in this episode. Be ready for a tear jerker! Never fear folks we'll get our Vibe vs. Frost fight yet! Killer Frost is the only one I'm positive is part of Savitar's Prophecy. She will either be the one to betray Barry, or the one to suffer a fate worse than death. What would be interesting is if Killer Frost becomes the Mastermind Big Bad for Season 4. Can't even keep a roof over your head, HR! I imagine some metas attacking the museum for one reason or another causing it to close it's doors. I see the Flash Museum coming to fruition soon. GRODD IS BACK! Or he will be with some friends and hopefully Team Flash will get some added help with a possible return of Jessie Quick! After all Grodd is coming from Earth Two! And finally we know the Season 3 Finale will be on May 23! That's six episodes of the remaining thirteen we know the basics of what will happen. 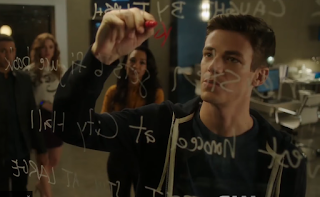 Do you think Team Flash will save Iris? Do you think someone else on Team Flash will die in her place? What's your thoughts? I'd love to hear them!